The Energy Bow Guitar library is an expressive Kontakt instrument made from recordings of a Fender American Standard Strat played with an E‑Bow. Sampled chromatically from a drop tuned D2 to A5. We fitted a Seymour Duncan Little '59 humbucker for extra sustain and everything was recorded cleanly through an Inward Connections Vac Rac 4000 pre-amp. 24 Bit/44.1kHz. Clean samples with three round-robins per note. 'Character' samples with three round-robins. These are still non-distorted samples, but feature the bow occasionally touching the strings and other performance blips and can be selected by a key switch. Harmonic samples with three round-robins. These were created with the E-Bow switch in the fundamental cancelling position and the modulation wheel can be used to crossfade into them. There are patches with these tuned to the same note (or octave) of the note played and natural patches, where the harmonic is as recorded - sometimes surprising! Tempo syncable LFOs for vibrato and tremolo. Sample start offset. We've retained the natural attack of the strings beginning to vibrate, but starting later in the sample is useful for faster phrases. This can be adjusted by a knob or by velocity. The Electronic Bow (sometimes called an Energy Bow) was invented in 1969 by Greg Heet and became commercially available in 1976. It uses two electromagnetic coils to make a guitar string vibrate at a sympathetic frequency - one coil acts as a pickup and determines the freuency that the other coil emits - in a sort of feedback loop. 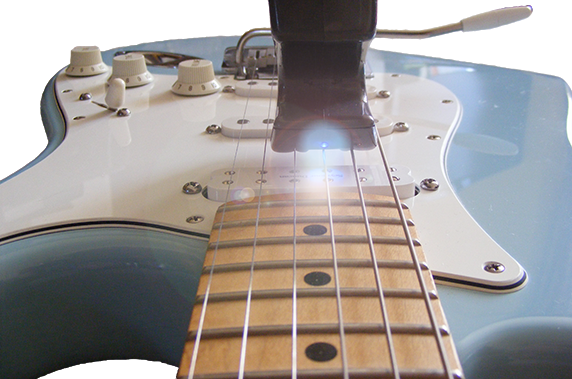 The blue LED is purely to help aim it at the correct string. Many artists have used an E-Bow, including David Gilmour, The Edge, Sigur Rós, Noel Gallagher, Martin Gore and of course Peter Buck on R.E.M. 's "E-Bow The Letter" ! 1GB Instant download. 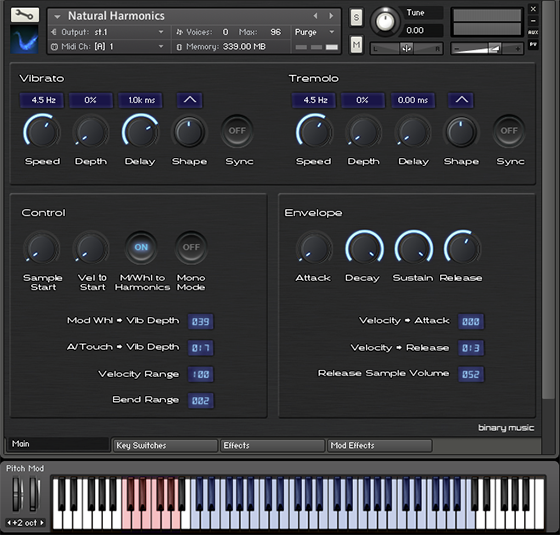 Full version of Kontakt 5.3.1or higher required. Biome Digital - Big Drop!